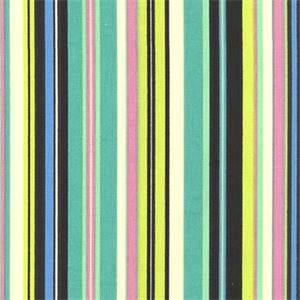 Teal, pink, lime green, blue, black and off-white striped multi-purpose printed fabric by Waverly. 100% cotton. Waybond finish. 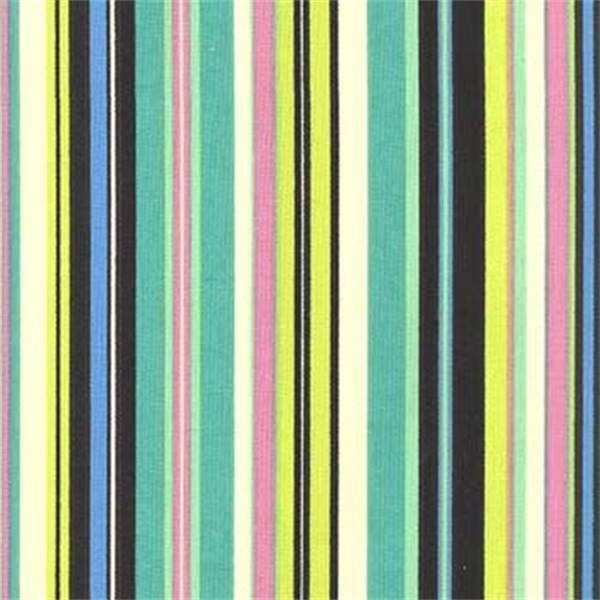 Ideal as drapery, slipcover, pillow or comforter fabric. Suitable for many home decorating applications. Dry clean recommended.